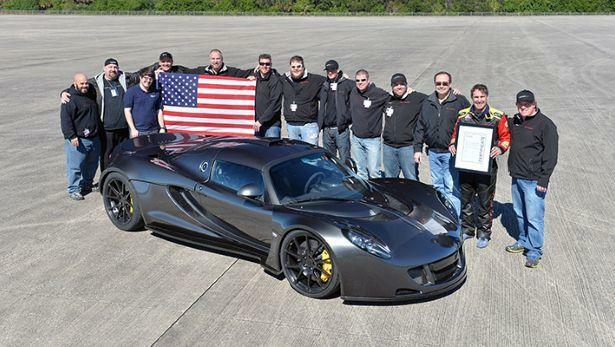 A new land speed record for a production car has been laid down by Hennessey Performance, with its Venom GT hypercar hitting 435.31km/h at the Kennedy Space Centre in the US. 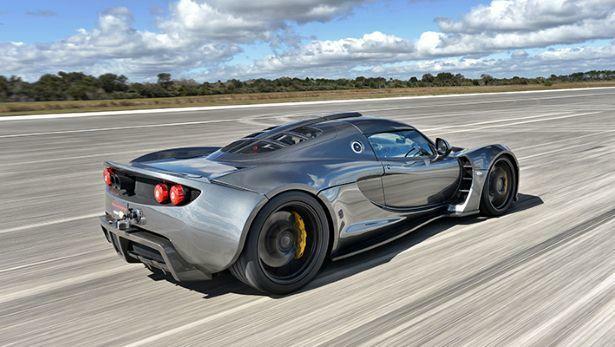 This surpasses the mighty Bugatti Veyron Super Sport as the world’s fastest car. 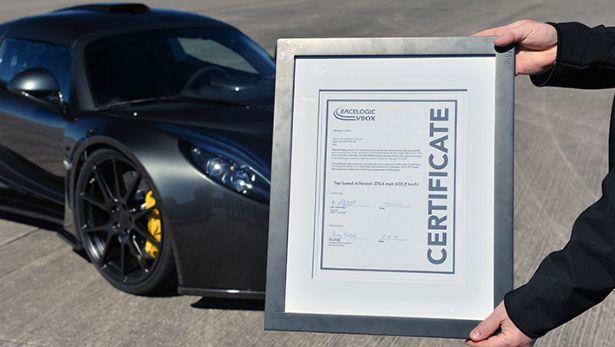 The Veyron recorded a top speed of 431km/h back in 2010 at Volkswagen’s Ehra-Lessien test track. 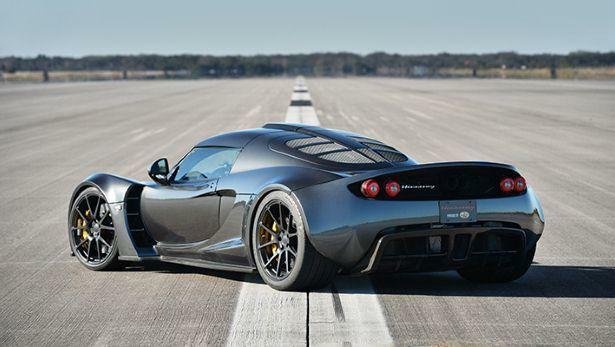 Although Hennessey Performance is considered a vehicle tuner, it’s also a manufacturer and the Venom GT is regarded as a production car. 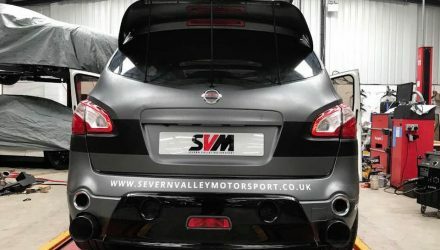 It does use some body parts from the Lotus Exige, but from there, it’s all custom. Power comes from an insane 7.0-litre twin-turbo V8 producing around 928kW of power and 1564Nm of torque. 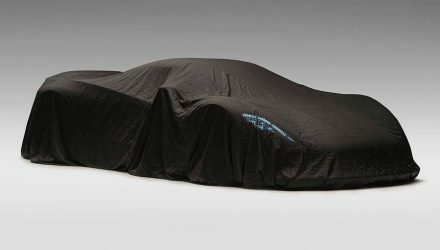 In a platform and body that weighs just 1244kg, you can begin to imagine the sort of performance on offer. 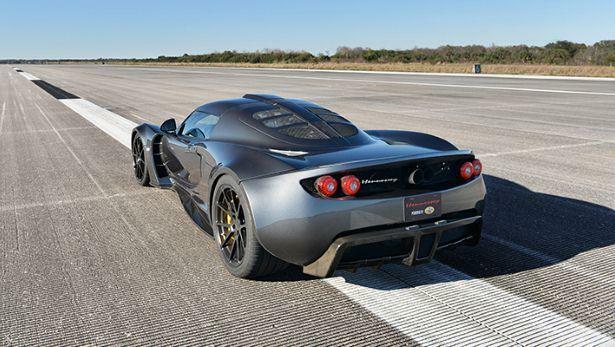 Running at the Kennedy Space Centre, the Venom GT recently ran a top speed run hitting 435km/h. 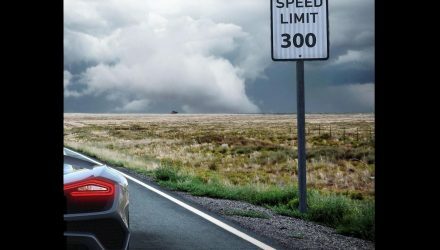 Despite being faster than the Bugatti, in order for it to stand as a Guinness World Record, the run needed to be done in both directions with the average taken as the official speed. 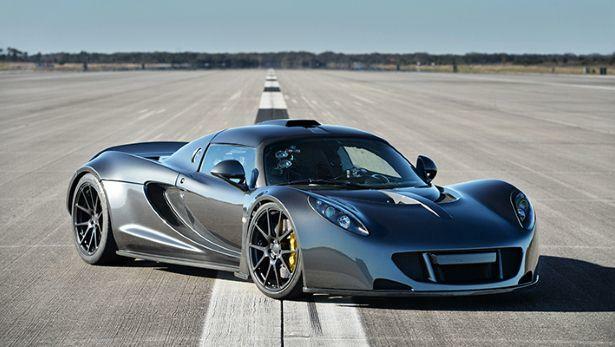 Even so, there’s no denying, this is the world’s fastest car. 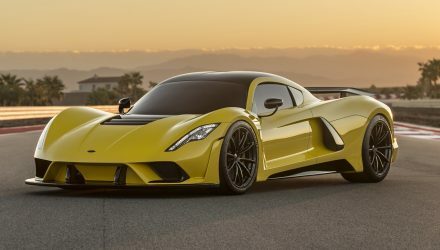 If Hennessey had access to the huge Volkswagen track, who knows, the car might have had a chance to go even faster.